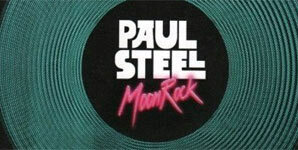 Paul Steel is set to release In A Coma, on 6th July 09 through his own record label, itâs the first single from his album Moon Rock. The album was originally recorded in 2007 and was originally set for released through Polydor records, for various reasons Paul decided to part ways and now Moon Rock is set to finally get its release. Recorded in LA by producer Tony Hoffer whoâs worked with Beck, The Kooks, Rumble Strips and Black Rebel Motorcycle Club to name but a few.